I haven’t made an entry into this column since the last season ended, but suffice to say I was very pleased with what was a mission accomplished after we set out to consolidate in the Second Division. After a pre-season of shakeups in the way we trained, and the newly-set target of holding our own in Division Two, the nerves took over for our opening league game at Rotherham United Development, where we were already losing 4-0 by half time – a regroup needed in the break to score a goal and concede one in the steady second half, for a 5-1 result. We responded well the week after at home, beating New Bohemians 6-0, before losing to Shaw Lane Aquaforce 6-2 at theirs, incapable of dealing with their tried-and-tested tactics and seeing them take the top spot in the table, undefeated. Being 3-2 down by half time at former Division One side Edlington Royals, we felt we really had a chance to take the win, but an unregistered referee and horrific two-footed tackle on Charlotte Marshall that made her miss most of the season rattled the whole team, and we lost 4-2. The team remained rattled for some time, and we lost 7-2 at Mexborough Athletic who, despite playing the best football we’d seen at that point, admitted ‘something wasn’t right’ about Unity. My coach and I felt we fixed it in training the following day, and felt much more confident about the next game, at home to undefeated league leaders Shaw Lane Aquaforce, who we beat 3-2 by playing to our system in a disciplined manner, where everyone had their part to play, and did so very well. Later that month, we took Mexborough to the limit at home, winning 6-5 in another thriller. Trailing 2-1 at half time at AFC Dronfield, who had taken the top spot in Division Two and won every single match, we remained confident of further “scalps” as league underdogs, but lost 4-2 in a close game, and were beating them 2-1 in the return fixture when a lack of concentration made us concede the equalizer in added time, albeit becoming the first team in the division to stop their winning streak. In between those two matches, we beat Sheffield Wednesday Development 3-2 at home despite losing 1-0 at half time. We remained unbeaten in home league games for over a year as a result. That record was broken with relish by Rotherham United Development, who beat us 6-0 when a fragile formation fell apart because a key individual refused to be a team player, presented a host of headaches for the players, and was eventually ousted. This was the opposite of the win over Shaw Lane, where team harmony beat the odds, and this trauma caused to the team meant it took a 3-0 home defeat to Edlington Royals for them all to resettle and enjoy their football again, which we did, winning the last two games 13-1 and 9-1 to guarantee the mid-table finish we needed, and deserved. 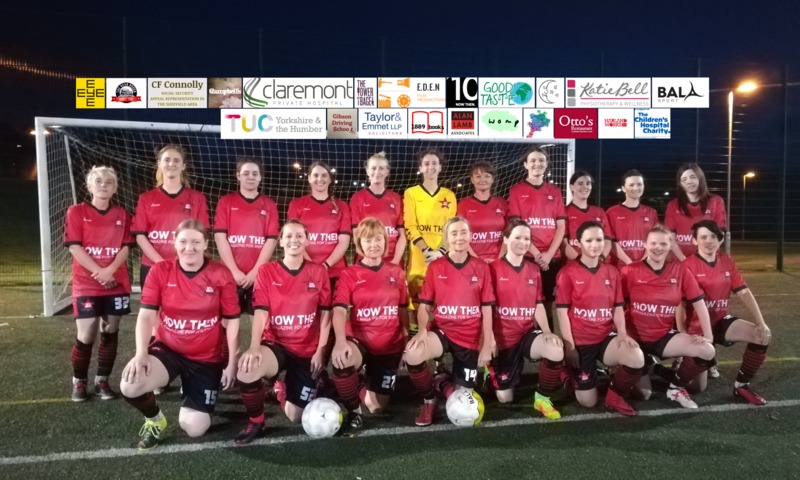 Granted, teams were struggling for numbers by this point despite being backed by significantly-sized men’s clubs, and we certainly shouldn’t ever apologise – or be penalised – for valuing women’s football and engaging high numbers. Our opponents get penalised by losing, as it should be. “Unity” isn’t just a word. When you have players out for themselves, upsetting half a dozen teammates, we deal with them. Grassroots football is too often about “survival of the fittest,” with players bullying others or being bullied themselves; teams driven down to the lowest common denominator – a horrible culture I reject and one this club rejects, and as a result we go to great pains to get rid of rotten apples before they spoil the barrel. We have to keep an environment of positivity. Negative personalities thrive off negative dialogue and slanging matches, making scenes on the training ground, and I reject that. 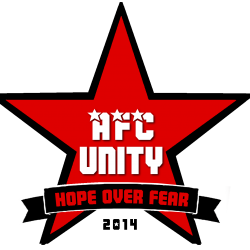 I will never engage in negativity that my team must be subjected to, and everyone who runs AFC Unity understands, appreciates and values that. Players value that too, and that’s why, despite being one of the very few clubs in the country exclusively dedicated to women’s football, we have such high retention rates. Ask any of our players – especially ones who have experienced the pain of playing for other clubs just about football and nothing else – and they’ll tell you what a positive environment we have. Our end-of-season Awards Night was a fantastic celebration of this, where I reiterated the sentiment that when you’re only about winning, on those occasions you lose, you have nothing left. That’s why we keep smiling even when we lose. We’re unstoppable. We keep going. Unity always goes on, win lose or draw. That’s why what we’re doing is a women’s football revolution. As we look towards next season, we have a better way to keep up with our high demand with the introduction of a second team, the AFC Unity Jets (who are not “reserves,” as some clubs like to call them). This provides a clearer line between competitive ambition and a fun chance to play 11-a-side league football. The AFC Unity Jets will enter into Division Three, with the first team remaining in a Division Two which will endure an influx of top teams deserving of higher status but forced to climb the ranks of the leagues – this will make it harder for the first team, but I look forward to this next challenge, and at the same time am excited for the AFC Unity Jets to take off on their own experiences! Finally, I’d like to thank everyone involved in AFC Unity, from my co-founder Jane Watkinson, to the Board of Directors, and newly-appointed Director of Football Sarah Richards, to the players, coaches and volunteers, for everything they put into this fast-expanding organisation that is utilising the power of football to do so much good for people. Previous PostPrevious The AFC Unity Scarf Contest Open for Submissions! Next PostNext Be Our Club Sponsor for the Next Two Years!